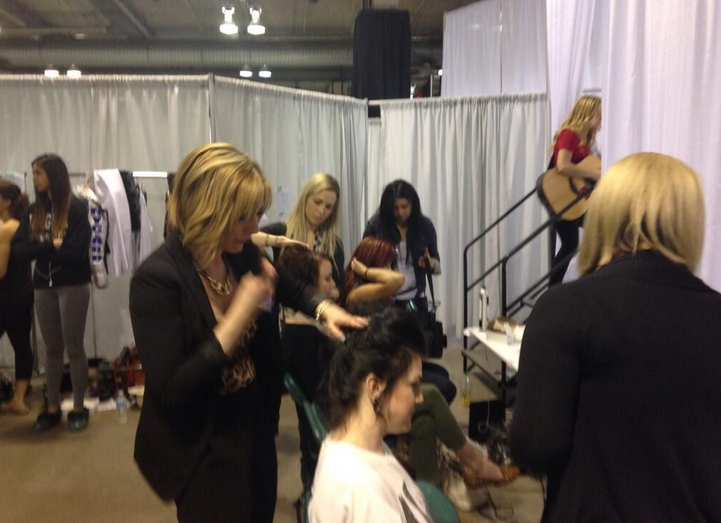 Between May 2-4, MC College Hairstyling and Esthetics students did hair and makeup for 15 runway models at Calgary’s Woman’s Show. From beachey hair to radiant orchid make-up looks, students highlighted this seasons’ top trends on models as they strutted across the runway. MC College was one of the most popular booths at Skills Alberta. 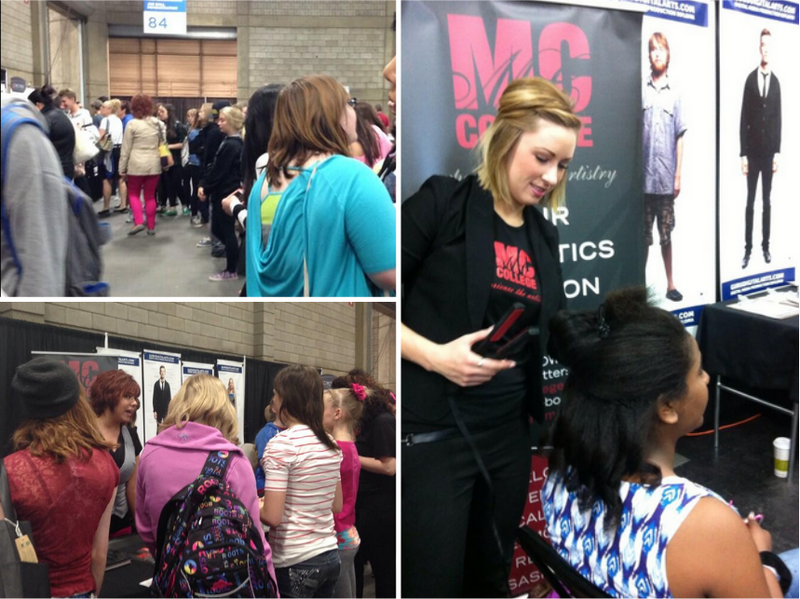 From May 14-15, over 300 High School students from all over Alberta stopped by our booth to talk to our Admissions Advisor about the programs we offer, and to receive complimentary hair touch-ups and make-up applications. After getting ’beautified’ by our Hairstyling and Esthetics students, guests were given the opportunity to be in and direct their own photo shoot with our ‘booth neighbour’, Guru Digital Arts! 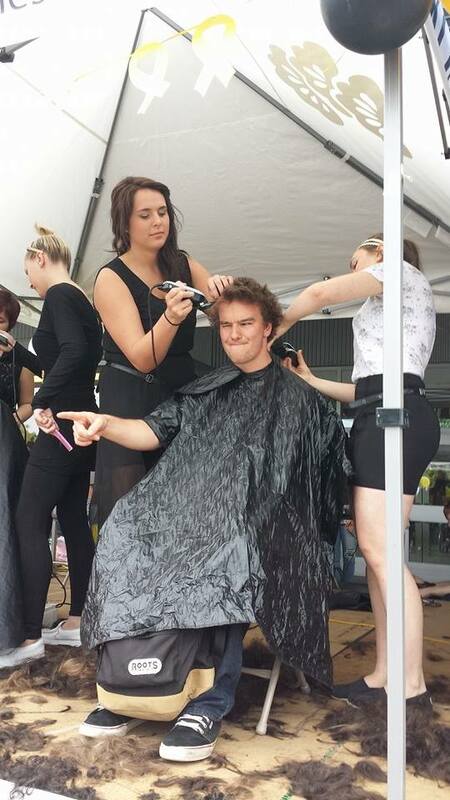 On May 23, Kelowna MC College students were invited to Kelowna Secondary High School to do haircuts for cancer. Over 30 High School students cut their hair in front of an audience of 200 people – from classmates and administrative staff to friends and families. On May 22, Red Deer MC College helped local celebrity, Vinnie Taylor from 100.7 FM, prepare for his 1 mile trek in open-toed high heels for the ‘Walk a Mile in her Shoes’ fundraiser. Esthetics students gave Vinnie a pedicure, complete with sparkly pink nail polish to complement his fabulous stilettos and hot pink tie. The Walk a Mile in Her Shoes is a fundraiser where men walk one mile in women’s high heel shoes to raise funds for the programs and services that are offered at The Outreach Centre. On May 30th, Saskatoon Hairstyling and Esthetics students gave High School students the chance to become a princess for a day. Through The Princess Shop, 30 students were treated like royalty, as they received mini makeovers which included: a hairstyle (from Kate Middleton’s signature curls to glamorous updos), mini manicures and make-up application. The Princess Shop is a non-profit organization that helps young Women in need who are graduating from High School with a dress, accessories, and services. 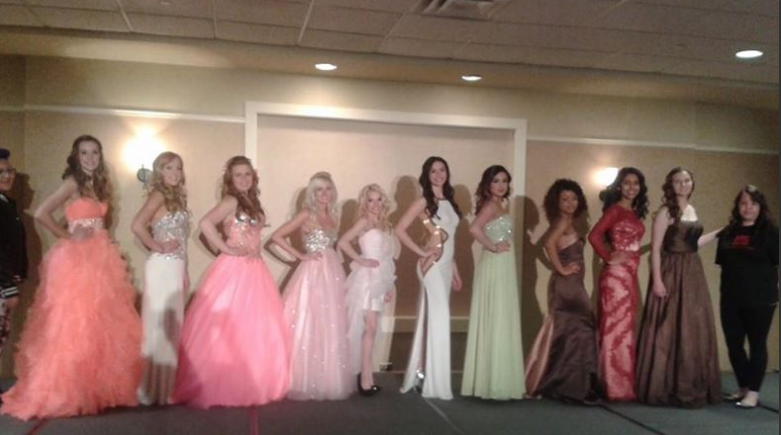 MC College students had a blast doing hair and make-up for 10 contestants in the Miss Teen Winnipeg pageant. Contestants rocked the latest make-up and hair trends on stage- from Marilyn Monroe red lips to tousled mermaid waves.